Der Artikel The Rolling Stones: Aftermath (UK-Version) wurde in den Warenkorb gelegt. 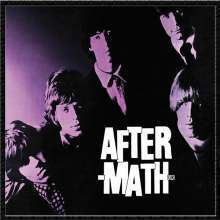 ROLLING STONE ALBUM GUIDE ***** "On 'Aftermath', Jagger revealed his essential gift: assuming a range of personae, he became the rock & roll actor non pareil. The touching, if inexpert mimicry of R&B stars that stamped his early singing gave way to a new, ironic virtuosity. Cockiness, in fact, would come to charac- terize all his postures, even if the posing hadn't hardened as yet."